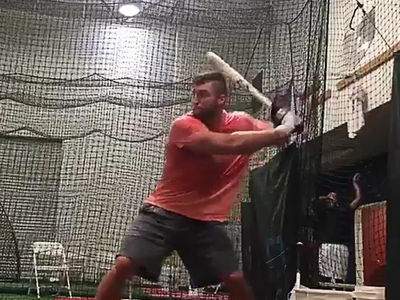 Tim Tebow Footage From MLB Workout... Crushes Monster HR!! TMZ Sports has obtained video from Tim Tebow's MLB workout at USC Tuesday morning ... showing the ex-QB sprinting, catching fly balls, showcasing his arm ... and BLASTING A HOME RUN!! According FS1's Skip Bayless, there are reps from 27 pro teams at the workout. Tebow took hacks against 2 righty pitchers ... launching a home run over the right center field fence, into the parking garage ... according to a source at the scene. 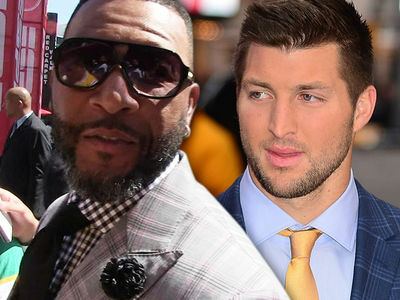 Bayless says Tebow ran the 60 yard dash in 6.6 seconds ... the same as MLB stars Derek Jeter and Bryce Harper.